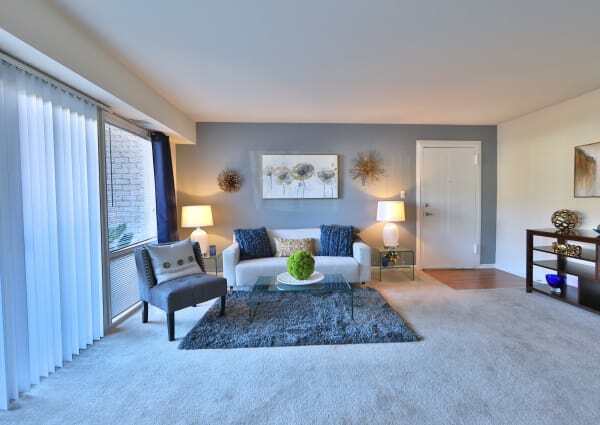 At Parke Laurel Apartment Homes, you can select the living space that best suits you. Our one, two, and three bedroom apartments for rent in Laurel, MD, are designed to support and complement your modern life. Your new apartment offers a renovated kitchen any gourmet chef would dream of, convenient individual climate control, spacious closets for linens and wardrobe, and your choice of a private oversized patio or balcony. Plus, each of our homes undergoes a 101-point inspection by the professional team at Morgan Properties for your comfort and peace of mind. To tour your favorite floor plan, contact Parke Laurel Apartment Homes today.